Luxury People Mover. A fresh design has given the Viano even better detailing on the big vanâ€™s exterior. Capable of seating eight people in one of the roomiest environments, the Mercedes Benz Viano is built for the purpose of caring for the traveller. Both the front seats are electrically adjusted, and can be heated, as well. 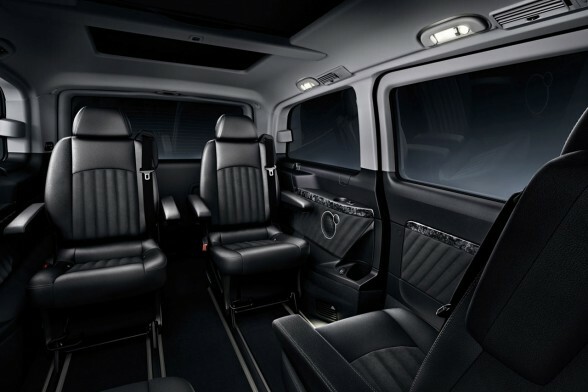 The Viano can be set up for three-seater benches in the second and third rows or as a six-seater configuration where four individual â€˜Captainâ€™s Chairâ€™ style seats in the second and third rows really lay on the comfort levels. 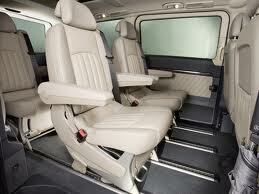 You can make it a seven-seater as well. Smart/\”>Smart modern styling on the inside provides a spacious and elegant cabin space. A brand new turbo-diesel engine gives class leading power, economy and refinement. Vans are a necessity these days. The useful load capacity and space make them ideal workhorses for couriers and tradespeople. Vans are also ideal vehicles for offering practical, roomy transport for the large family. 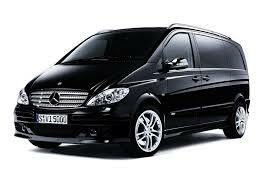 A stylish alternative for a potential van buyer is the newly updated Mercedes Benz Viano. Designed to be not only a work horse but also an all around versatile vehicle, the Mercedes-Benz Viano may just be the vehicle for you. Just the one engine lies in the Vianoâ€™s engine bay. An exceptionally strong engine, the power that is generated from the turbo-dieselâ€™s modern design copes with the heaviest loads, effortlessly. A V6, and boasting 165 kW is impressive enough. Add to this a maximum torque figure of 440 Nm in the range between 1600 and 2400 rpm and it shows you just how easily this van gets along.